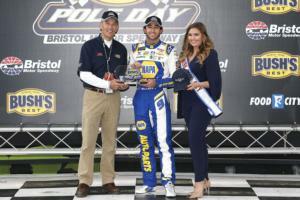 But in a way, Elliott's pole Friday at Bush's Beans Pole Day for the Food City 500 at Bristol Motor Speedway was his first. Elliott's previous four poles came at Daytona and Talladega, restrictor-plate tracks where drivers say they have very little input on the outcome of a lap. "We joke about it regularly," Elliott said. 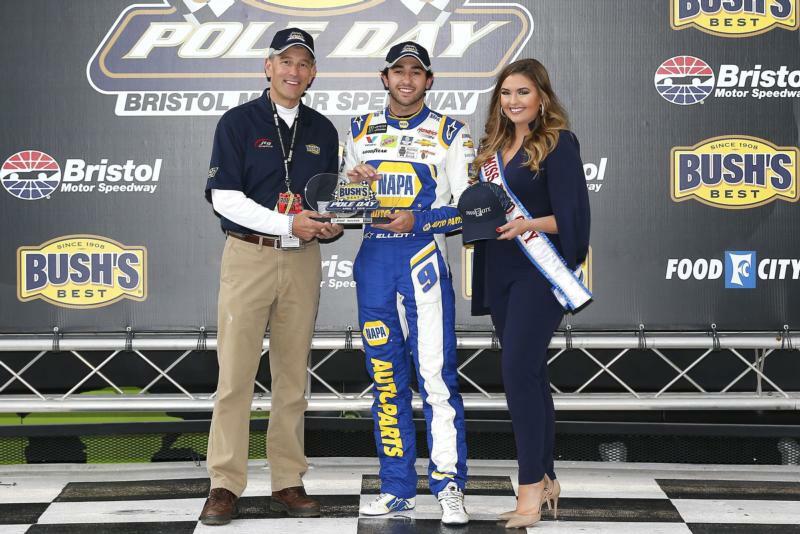 "That’s why we were excited to get a pole. We’ve had some fast cars at the plate tracks and (crew chief) Alan (Gustafson) had some success there long before I ever came around, so that was really no surprise. “But to come to one of these places, I feel like I contribute a little more than I do at Daytona or Talladega for qualifying. It’s certainly something I’ve been wanting to do for them for a while."